May 2015 – OK, Fine. In the U.S., climate change is still being debated among many. Above is a vintage video from 2014 of Republican Congresswoman Marsha Blackburn and Bill Nye debating climate change on NBC’s Meet The Press. According to The New York Times, former Governor Jeb Bush talked about his mother-in-law’s affliction with Alzheimer’s disease last week. He also shed some light on what he thinks should be done to fight the illness. “In an email exchange with Maria Shriver, the journalist, activist and author, Mr. Bush wrote that he has been getting a lot of feedback since revealing that his family has firsthand experience with the disease,” writes The Times. Mr. Bush called for more research funding and a faster drug approval process to fight Alzheimer’s, which the CDC says afflicts some 5 million Americans, according to The NYT. “We need to increase funding to find a cure,” Mr. Bush said. Barely 24 hours before launching his campaign to challenge Hillary Clinton, former Maryland Gov. Martin O’Malley phoned the Democratic presidential front-runner to personally inform her of his plans. The call between the two Democratic rivals was brief and cordial, and came on the same day that O’Malley filed his candidacy papers with the Federal Election Commission, according to two sources familiar with the conversation. O’Malley, the two-term governor of Maryland who left office in January, is launching his presidential campaign Saturday morning in Baltimore, the city where he spent seven years as mayor. Clinton and O’Malley have a complicated relationship as fellow Democratic party notables. O’Malley was one of the first Democratic governors to endorse Clinton’s candidacy for president in the 2008 election, and was a major fundraiser for the then-Senator. Last year, former president Bill Clinton strongly praised O’Malley’s time as governor. 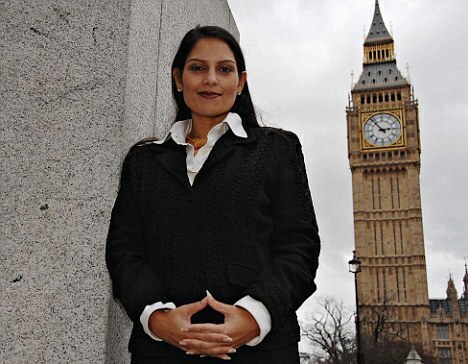 The wonderful Priti Patel, now the employment minister, was in her past life part of a team of spin doctors paid hundreds of thousands of pounds to help a tobacco giant counter negative publicity, including that surrounding its joint venture with one of the world’s most brutal military regimes. High School is free. Could college also be free? Is college free in some European countries? How would you pay for it? Recently, Vermont Senator and presidential contender Bernie Sanders talked to CNN about free, universal college education and how he would fund it. What is the Wall Street Sales Tax? In the video, they say the word “troglodytic.” What does troglodytic mean? Troglodytic means of, about, or relating to a troglodyte. A troglodyte was a prehistoric cave-dweller, or “a person of degraded, primitive, or brutal character,” according to dictionary.com. Why Is Radio Host Rush Limbaugh Against The TPP Trade Agreement? Recently, talk radio host Rush Limbaugh spoke out against the TPP trade agreement. Does Rush agree with people on the left who take issue with the trade deal? It is an interesting turn of events. Re-blog. Double murder and suicide in Wellsville, Pennsylvania.